Starting from a default, standard registration form, modify it by suppressing or adding any number of user-defined fields to the form (check boxes, radio buttons, text boxes, drop down lists). Send a custom automatic email to newly registered users. Create accounts in bulk, by uploading an Excel spreadsheet. 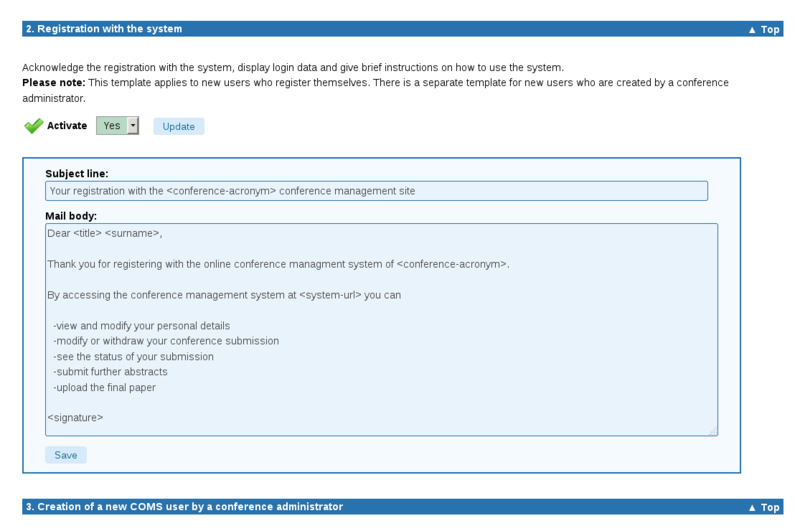 Assign functions to users (e.g. conference chair, administrator, reviewer, editor, accountant and others). Optionally, flag users for participation, either individually or in bulk. View, filter, edit and export the data. 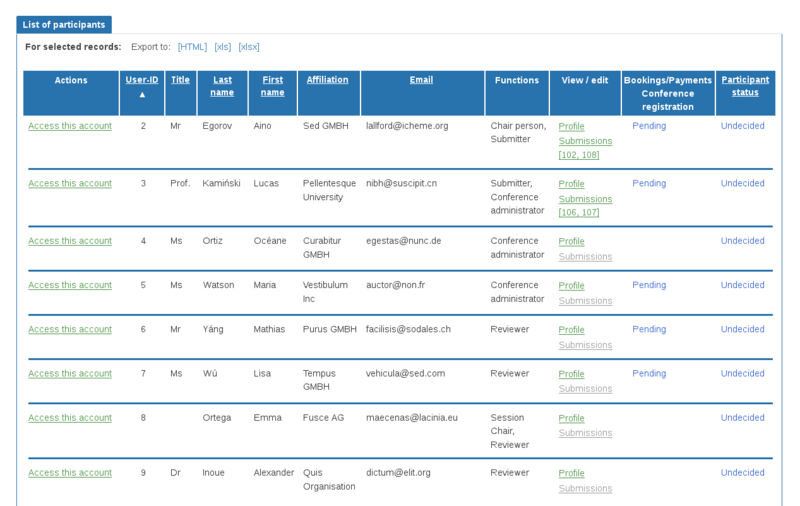 Send bulk emails to any subgroup of the users. Export the data to HTML or Excel. Download uploaded documents. Import accounts of a previous edition of the conference. 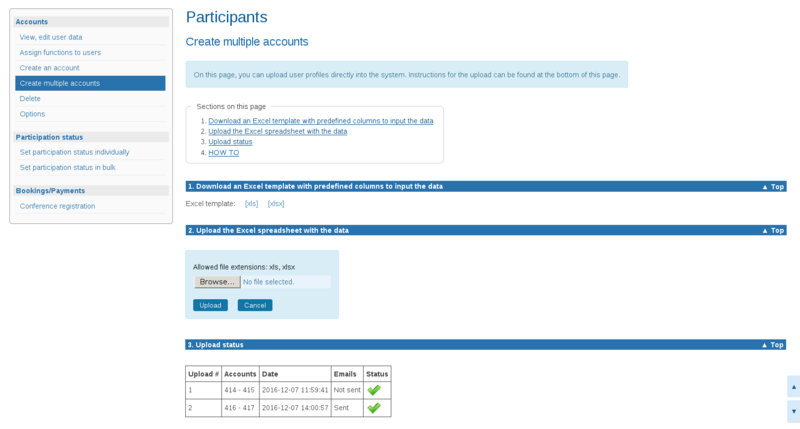 This saves returning participants the need to fill in again the account creation form. The imported accounts are initially inactive. They are activated when users log in to the site. Users who do not return are not included in the list of participants. Users can be asked to upload personal documents (e.g. scan of student card, proof of payment, résumé, proposal). 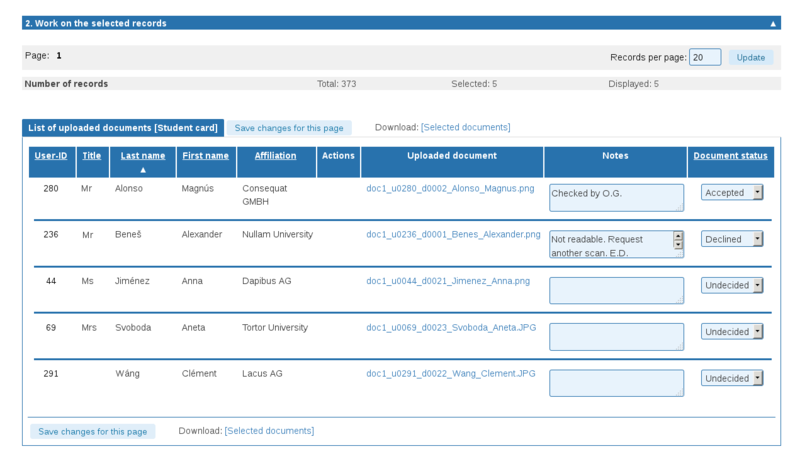 Administrators can view, export, annotate, and flag the documents. Dedicated emails exist to correspond with the users. 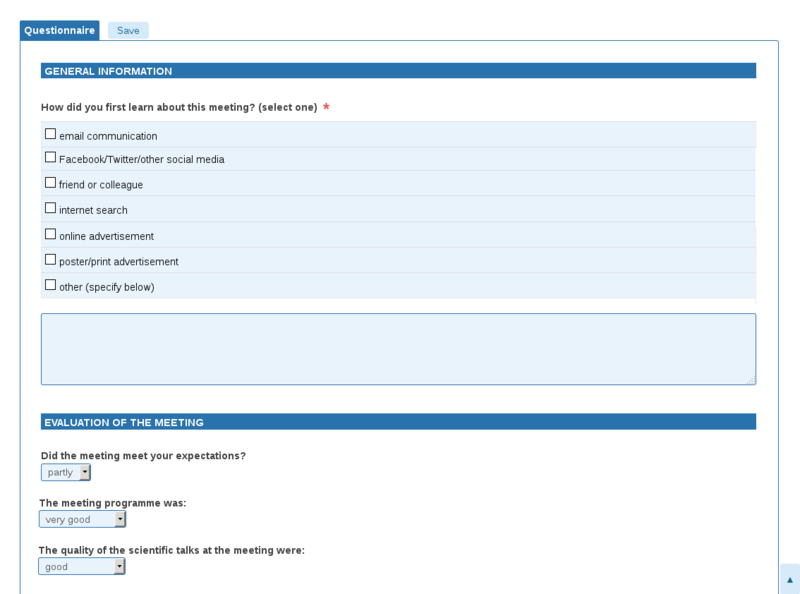 Create a custom form and invite selected users to fill it in. Export the data to HTML or Excel. 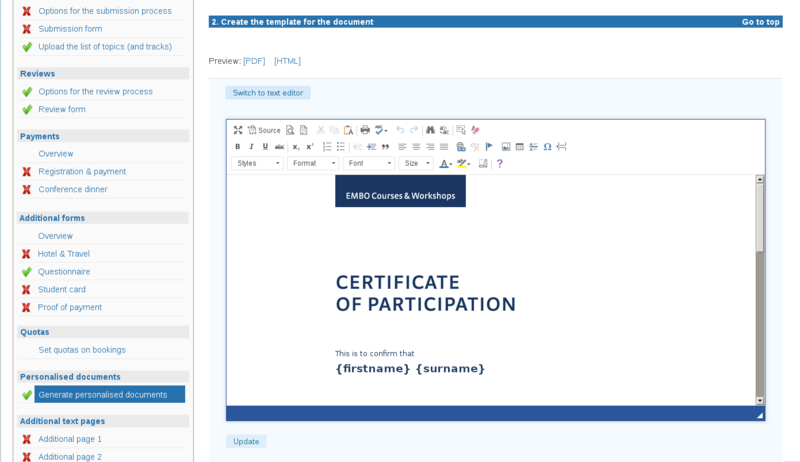 Create personalised documents. You can create and preview an HTML template that includes pictures, placeholders and custom formattings. 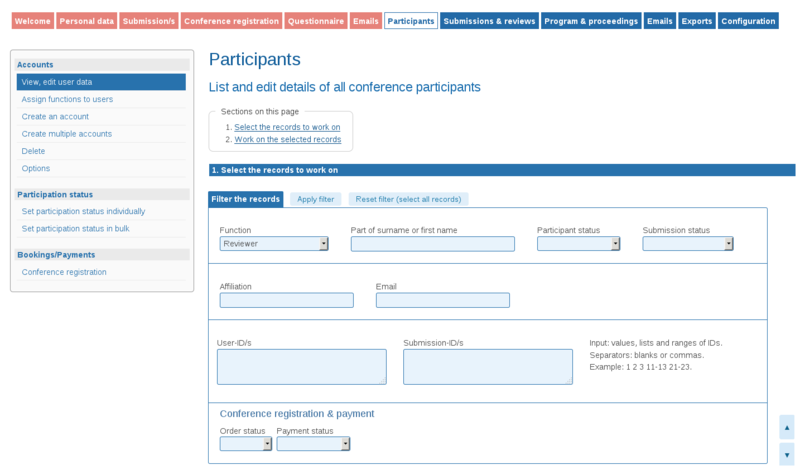 Allow selected participants to download the documents at the appropriate time.